Recently published historical research says hungry aboriginal children and adults were once used as unwitting subjects in nutritional experiments by Canadian government bureaucrats. "This was the hardest thing I've ever written," said Ian Mosby, who has revealed new details about one of the least-known but perhaps most disturbing aspects of government policy toward aboriginals immediately after the Second World War. Mosby — whose work at the University of Guelph focuses on the history of food in Canada — was researching the development of health policy when he ran across something strange. "I started to find vague references to studies conducted on 'Indians' that piqued my interest and seemed potentially problematic, to say the least," he said. "I went on a search to find out what was going on." 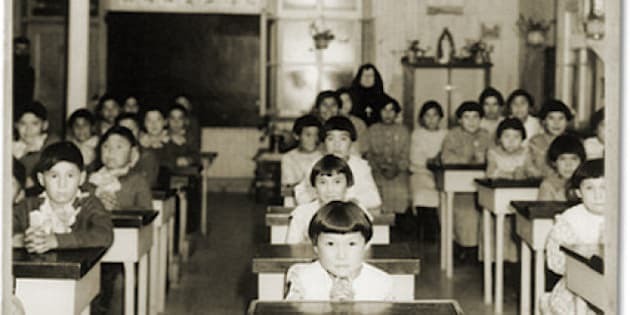 Government documents eventually revealed a long-standing, government-run experiment that came to span the entire country and involved at least 1,300 aboriginals, most of them children. It began with a 1942 visit by government researchers to a number of remote reserve communities in northern Manitoba, including places such as The Pas and Norway House. They found people who were hungry, beggared by a combination of the collapsing fur trade and declining government support. They also found a demoralized population marked by, in the words of the researchers, "shiftlessness, indolence, improvidence and inertia." The researchers suggested those problems — "so long regarded as inherent or hereditary traits in the Indian race" — were in fact the results of malnutrition. Instead of recommending an increase in support, the researchers decided that isolated, dependent, hungry people would be ideal subjects for tests on the effects of different diets. "This is a period of scientific uncertainty around nutrition," said Mosby. "Vitamins and minerals had really only been discovered during the interwar period. "In the 1940s, there were a lot of questions about what are human requirements for vitamins. Malnourished aboriginal people became viewed as possible means of testing these theories." The first experiment began in 1942 on 300 Norway House Cree. Of that group, 125 were selected to receive vitamin supplements which were withheld from the rest. At the time, researchers calculated the local people were living on less than 1,500 calories a day. Normal, healthy adults generally require at least 2,000. "The research team was well aware that these vitamin supplements only addressed a small part of the problem," Mosby writes. "The experiment seems to have been driven, at least in part, by the nutrition experts' desire to test their theories on a ready-made 'laboratory' populated with already malnourished human experimental subjects." The research spread. In 1947, plans were developed for research on about 1,000 hungry aboriginal children in six residential schools in Port Alberni, B.C., Kenora, Ont., Schubenacadie, N.S., and Lethbridge, Alta. One school deliberately held milk rations for two years to less than half the recommended amount to get a 'baseline' reading for when the allowance was increased. At another, children were divided into one group that received vitamin, iron and iodine supplements and one that didn't. One school depressed levels of vitamin B1 to create another baseline before levels were boosted. A special enriched flour that couldn't legally be sold elsewhere in Canada under food adulteration laws was used on children at another school. And, so that all the results could be properly measured, one school was allowed none of those supplements. Many dental services were withdrawn from participating schools during that time. Gum health was an important measuring tool for scientists and they didn't want treatments on children's teeth distorting results. The experiments, repugnant today, would probably have been considered ethically dubious even at the time, said Mosby. "I think they really did think they were helping people. Whether they thought they were helping the people that were actually involved in the studies, that's a different question." He noted that rules for research on humans were just being formulated and adopted by the scientific community. A spokeswoman for Aboriginal Affairs Minister Bernard Valcourt said the current federal government is shocked by the findings. "If this story is true, this is abhorrent and completely unacceptable," Andrea Richer said in an email. "When Prime Minister (Stephen) Harper made a historic apology to former students of Indian Residential Schools in 2008 on behalf of all Canadians, he recognized that this period had caused great harm and had no place in Canada." Little has been written about the nutritional experiments. A May 2000 article in the Anglican Journal about some of them was the only reference Mosby could find. "I assumed that somebody would have written about an experiment conducted on aboriginal people during this period, and kept being surprised when I found more details and the scale of it. I was really, really surprised. "It's an emotionally difficult topic to study." Not much was learned from those hungry little bodies. A few papers were published — "they were not very helpful," Mosby said — and he couldn't find evidence that the Norway House research program was completed. "They knew from the beginning that the real problem and the cause of malnutrition was underfunding. That was established before the studies even started and when the studies were completed that was still the problem."